With a system that is too old or too damaged, HVAC repairs may not suffice. If your home or business needs a new installation, you can count on Air Products & Services to provide what you need. We have been helping homeowners and business owners in Southern California communities for 35 years. Whether you are dealing with a broken air conditioner, outdated gas furnace or inefficient humidifier, our highly trained technicians will provide you with the tools to select the most suitable replacement system for your space. Air Products & Services strives to replace all HVAC systems with skill and care. If your HVAC systems are causing you trouble and they are beyond repair, our experts are here to provide beneficial replacement options for your HVAC systems. Replacing an HVAC unit is a large investment to make as a homeowner. The easiest way to determine what replacement is best suited for your comfort needs is to consult a professional HVAC expert. Our honest professionals will examine your system, determine the necessary replacement, and advise you to make a smart and cost-friendly decision. We always look for the most accurate solutions and would never recommend an unnecessary service. 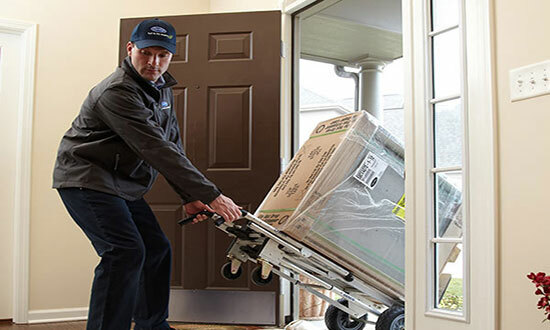 Our team strives to provide customers with the latest HVAC techniques and solutions so that they inherit a long-lasting comfort system. With no guesswork involved in our processes, our residential and commercial customers will receive exceptional results in a quick and efficient manner. Contact us at (818) 989-2030 to schedule a replacement service or submit an online request to get started right away.